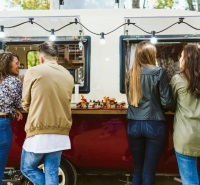 Today, digital POS systems are in use at a wide variety of businesses from cafes and food trucks to retail stores of all types. They allow users to track sales, customer information, and purchase history down to the smallest detail. These systems also help companies optimize their customer outreach, by consolidating customer data and utilizing it to target their customers and increase word of mouth. In addition – and this is of crucial importance for food service businesses – digital POS systems help companies keep precise account of their inventory down to the smallest denominator. For a restaurant looking to keep food costs at a minimum, this can make a huge difference. So what are the most important features of POS systems? Expedite your transactions: Today’s digital POS systems handle credit card transactions with speed and security that are nothing short of an asset. Unlike with their pre-digital counterparts, today’s POS systems take these transactions and crunch the numbers, providing a comprehensive look at sales, earnings, expenses, and labor costs. This can help you save some serious headaches when tax season comes along. Overhead costs: For food service companies, food costs and inventory expenses can be a make or break difference. With a digital POS system, you can see your weaknesses and your strong points and plan accordingly. Remote management: Most POS systems can be accessed off-site, meaning that business owners and managers can stay on top of things even when they’re not at the office. Workforce: Keeping labor costs low can be a major factor in making a business profitable. With a digital POS system, you can receive new data points about employee sales volume, shrinkage, and productivity, to show you which employees are assets and which may be a liability when they’re on the clock, helping you schedule accordingly. 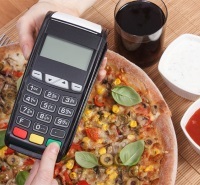 Having said all that, the question is, which POS system is right for you? This depends largely on what type of business you run and what your needs are. 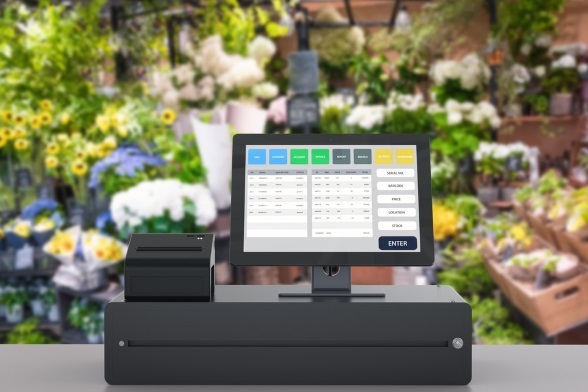 Take a look at our selection of some of the top POS systems on the market, and we’re certain you’ll find one that can take your business to the next level. BackOffice and Raw Goods management tools get into the nitty gritty of company data to help maximize efficiency and cut costs. Affordable, reliable, and easy-to-use, ShopKeep​ is a great POS system targeted at small and medium business in retail and food service. One of the company’s strong suits is its ShopKeep Pocket mobile app, which allows users to manage their business remotely with an easy to use and intuitive mobile interface. ShopKeep’s BackOffice account management portal is a solid addition to any company’s tool kit, helping you track inventory, sales, and a whole range of business-related data. And when things go sideways, or there’s a sudden rainstorm and the WiFi, you’ll be happy to know that ShopKeep can run offline. In the POS game, you don’t get bigger than Revel. This company has POS solutions for businesses of all sizes – from small food service operations to enterprise-level operations – Revel can supply digital POS solutions to help a company take flight. Revel’s “insights” is a real-time data management tool that can be accessed remotely from the company’s mobile app to allow you to keep a handle on everything from labor to food costs to sales. Revel is also adept at integrating your social media accounts in order to boost word of mouth, and the company also allows a wide-range of software integration to help you customize – and maximize – your POS system, even if you suddenly lose access to the internet. One drawback may be the price, which is not the cheapest, and receiving a price quote typically requires a consultation with a sales rep. Nonetheless, with Revel you know you’re signing up for a tried and true industry leader. If you’re new to using a POS system, you’re in luck with Toast, which has an easy to operate, drag and drop interface that you should be able to learn in a flash. If you’re looking to take your company online, you can add an integrated online ordering system for an extra $50/month. When customers order, you can arrange for them to receive digital receipts by email, which is part of their overall suite of customer relations management offerings. Another way that Toast sets itself apart from the pack is the sheer number of integrations – currently there are at least 29 different food service centered apps that can integrate with Toast. On the other hand, its customer service leaves a bit to be desired, with a phone line for emergency issues and no live chat option. Though it was developed by food service workers with the hospitality industry in mind, Touchbistro is a POS platform that can make a difference for all types of businesses. Touchbistro can run offline through the cloud, for those times when you can’t get reception, and all of your businesses’ sales and inventory are compiled in an easy to use, intuitive interface that doesn’t require any tech savvy to operate. 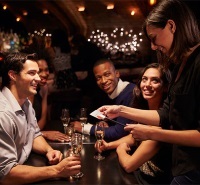 For food service companies, there is a host of features that should come in handy, including tableside ordering (the app can double as a menu and order taking system), customer tabs, easy to divide bills by table or customer, reservation options, easily customizable floor plan and table management, and more. Touchbistro is also one of the more affordable POS systems, and they have extensive customer service to help get you out of a bind. Upserve owns Breadcrumb POS, which was founded by food service workers and offers a dizzying array of features catered for the foodservice industry. Unlike other POS systems that have a sort of one-size-fits-all approach to food service, Upserve’s POS platform has different calibrations for 13 separate types of eateries, from small bakeries, to nightclubs, to fine dining establishments. Breadcrumb presents users with a laundry list of analytics, which are presented in a comprehensive and easy-to-read format. These include new vs. repeat customer performance, so you can decide whether or it’s better to invest in previous customers or to seek out new ones by hosting special promotions. Breadcrumb can also provide your business with an online ordering platform, to help you get your sales online, and if you do want to run a special promotional campaign, Breadcrumb has the tools to plan and manage it for you. The service also includes a customer loyalty plan with rewards for repeat customers, as well as a mobile app for remote management, and 24/7 customer service. And if internet access gets spotty, the POS system can run offline. Easy-to-use, robust, and affordable, Harbortouch​ is a POS system that works very well with retail and foodservice businesses alike. It offers free POS equipment if you agree to a long-term plan, with training, on-site support and setup included. In terms of features, the platform includes extensive options for inventory control, management, and tracking, as well as workforce management. Harbortouch offers a cheaper Harbortouch Echo POS for smaller food service companies like kiosks and food trucks, and Harbortouch Elite POS for big restaurants and nightclubs. Retail businesses will appreciate the company’s inventory tracking, vendor management, and employee management, while in food service there are all types of options like tableside ordering, online reservations and ordering, and more. Lightspeed is a POS system geared mainly towards the retail industry but with features that all types of businesses can use. For retail companies there is comprehensive employee management, a customer relations management system to improve your follow-up with customers, multi-store functionality, and integration with a series of programs including MailChimp, Quickbooks and Zero. The service also offers extensive purchase order management for tracking vendors. Like many other iPad-based POS systems, it is easy-to-use and allows extensive customization. The company also provides you with hundreds of pre-set printable reports that you can customize for your business. On the off chance you run into any problems operating Lightspeed, the company has have 24/7 customer support on its toll free number and contact form. Any business that’s trying to get ahead today - be it food service or retail - needs every little edge they can get. Today’s top POS systems are loaded with features that can give you a real boost in efficiency and on your bottom line. Take some time to shop around with the industry leaders, and when you’ve figured out what you need for your business and which POS system has the right features for the right price, then join the countless other business owners who have seen what the right POS system can do for them.